CSSN Inc.dba Card Scanning Solutions recently released idScan® GO, a leading mobile driver’s license and ID scanning application which is a premier solution for ID or card-size credentials. 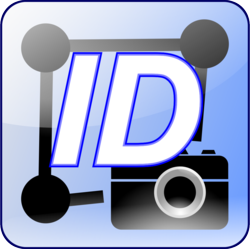 Now available on the Apple App store, idScan® GO turns the iPhone, iPad or iPad Mini into an ID card scanner putting vital information at your fingertips. Card Scanning Solutions, CSSN Inc., a leading developer of image processing solutions and Optical Character Recognition (OCR) technology, recently launched idScan® GO, a mobile application linked to a cloud based OCR service. With Apple approval, idScan® GO enables the scanning and capturing of ID and card size credentials on iPhone, iPad and iPad Mini portable devices. This app is also optimized for iPhone 5.With the ability to automate the data capture process on your mobile phone, idScan® GO allows for the effective management of vital contact information making this the ideal solution for access control, registration process, visitor management, market research and more. Available as a free download on the Apple iTunes Store, idScan® GO is a native iOS application which controls the camera on a mobile device. With OCR web services, this application is able to capture images of ID size documents, perform OCR data extraction as well as auto parsing of the image. This means that once an image of a card is captured on a mobile device, idScan® GO will perform the pre-processing of the image. This involves cropping the captured image to remove the background as well as straightening the image in order to line up the angles automatically. The image is then sent to the cloud for OCR processing and the image parsing includes OCR data extraction as well as the face and signature image from the card. With the ability to extract and store textual information, face image, and signature image from a driver's license onto your mobile device, idScan® GO is the ideal application in a wide variety of settings such as, conferences, trade shows, events and networking. The benefits include reduced human error of typing the information manually, saved time, accurate record keeping and a paperless environment. idScan® GO also supports driver's licenses from all across the globe and saves information on the mobile device with the time and the date enabling you to keep updated records of vital ID information. Yossi Zekri, President and CEO of Card Scanning Solutions said, “At CSSN, we understand how mobile phones have revolutionized the way we interact and do business today. By offering our state-of-the-art OCR scanning system through our leading mobile application, idScan® GO, we have mobilized the availability and functionality of our software solutions. In this way, our customers can benefit from our cutting edge scanning technology providing them with ease of use, efficiency and a competitive edge in their industry”. The idScan® GO application is available from the Apple iTunes Store https://itunes.apple.com/us/app/idscan-go/id573630870?ls=1&mt=8, so download the free application and experience the key features and functionalities of this cutting-edge mobile driver’s license and ID card scanning solution. Since 1999, Card Scanning Solutions (CSSN Inc.) has been a leading manufacturer of card reading and image processing technologies. They are renowned for developing an OCR and image processing technology that is designed to quickly and accurately read the information from driver licenses, medical insurance cards and other ID cards. Their software provides extensive database capabilities for processing, storing, and manipulating the acquired data automatically and is used among a variety of industries such as hospitality, security, medical, government and more. CSSN Inc. offers cost effective solutions which significantly increase productivity, reduce human error and save time and money.